There have been plenty of articles recently about the exodus of creative people to Los Angeles — most recently luring many from NYC. I was fortunate enough to speak on a panel recently at SheSays here in L.A. on how to "Make it in L.A." with some pretty awesome creative women in the city. This little-big city can have a bit of a foul rep in the creative community, which I believe is completely unwarranted. But then again, haters gonna hate. Being yourself isn’t just allowed, it’s celebrated. Everyone thinks L.A. is filled with stereotypes of "L.A. people." Now I’m not saying they don’t exist, because they do, but they're far fewer than you would imagine. I’m a firm believer in finding a space that allows you to do you. I believe L.A. has that in spades. A more relaxed work culture that means yes, casual footwear (except no flip flops — personal mantra) and a "come as you" are attitude and generally speaking the freedom to be yourself. The right creative opportunities here will allow you to do your work in a way that lets your creative spirit breathe in the most natural way. Years ago, I interviewed in Boston, and they told me they weren’t sure if I was a "Boston planner." To this day, I still have no idea what that means, but I’m pretty sure I’d never actually look to hire an "L.A. planner." We hire people with a strong sense of what their creative self is or at least an inkling of what it might be. ... But it’s cool if you don’t know who "yourself" is yet. I truly believe that L.A. is the place to find your best self. I was a lost little moppet when I got here. I had a good grounding career-wise, was pretty secure human being, but in terms of who I was as a creative thinker, I definitely wasn’t there yet. Being here, with the right people, has helped get me to a super happy (if not a fully formed) creative entity. It’s the kind of city that you can be a screenwriter (who has never had a script picked up); a dancer (at a local studio); a model (for your friend’s hair salon). While it definitely has the underpinnings of an odd, pseudo-delusional behavior, it’s an incredibly interesting part of the tapestry of this city. In other words. Relax. You’re in L.A. You’ll sort it out. In your time. Creative people aren’t singularly defined. Completely true. There’s a lot of loose, yet-to-be-fully-formed creative thinkers in this town. It’s not a linear town. Just look at our streets. I think the people are the poetry of the cityscape itself. It’s sprawling and vast. The delineation of high and low is incredible blurry. Cultures live shoulder to shoulder. Roll down Beverly Blvd from Mid City towards Downtown and you will see the community come together United Colors of Benetton-style in the most beautiful tapestry of sights, smells and sounds. I am on a board of an organization here in L.A. called Machine Project. We exist as a storefront where artists (of any definition) can come in, experiment with the public in a shared, safe space. Performance art, LED bicycle-wheel animation, arduino classes or Raspberry Pi explorations. It’s been transformed into a ship, a massive haunted house, a functioning gallery space, it goes on. 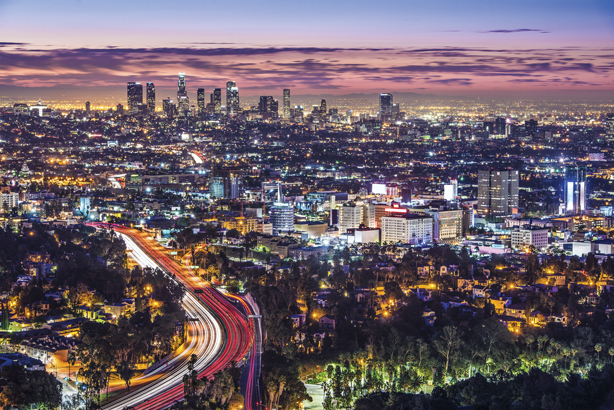 What it really does is sum up what L.A. is to me: a big, wonderful creative experiment. But there’s a trick to making it work. You’ve got to try. You always hear that L.A. is devoid of culture. I couldn’t disagree more. It’s definitely not NYC or London where you will run into art, culture, dance, theatre, writing ANYWHERE you go: it’s on your walk into the office; it’s next door to the bar you’re going to after dinner. That just doesn’t happen here. You plan. You drive. You find your tribe. But you have to seek it out, it won’t come to you. It’s not a city for the faint of heart or lazy of spirit. You will get out exactly what you put into it. Be yourself. Be genuine. Be open. And L.A. will welcome you with open arms (after about 365 days). Thas Naseemuddeen is vice president and group strategy director with Deutsch LA.